These military homes were utilized until the 1990s, then sat vacant for nearly 10 years. In 2008, the Navy gave these homes to the National Park Service (NPS) at World War II Valor in the Pacific National Monument (VALR). This bungalow neighborhood witnessed families moving in and out every two to three years, children playing in the yards, and aviators and Navy personnel training nearby. The CPO bungalows also created a critical safe place for sailors and families during the attack on Pearl Harbor. These homes stopped shrapnel in its tracks; many of the homes were riddled with shrapnel holes after the attacks.2 The CPO bungalows were 300 yards away from the USS Arizona when she violently exploded. The bungalows protected families from the sites of war and destruction, and they sheltered men, women and children during the attacks. 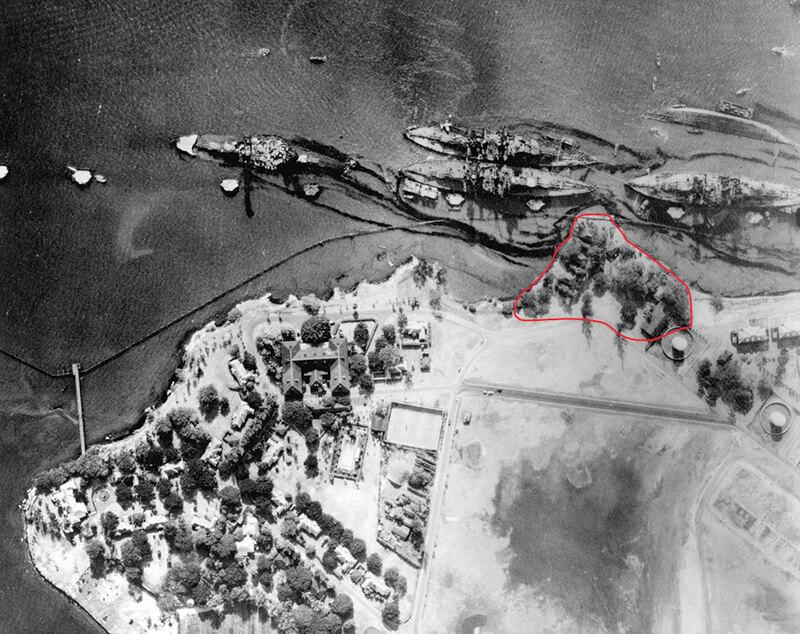 Many sailors swam to shore along Ford Island and took shelter or received aid in these homes. The value of these buildings can be heard in the stories from those who survived as children to the sailors who sought refuge during the air raid. VALR is working with the preservation community on Oahu to preserve what remains of the Belleau Wood neighborhood. This year, two of the five historical bungalows will receive emergency stabilization so they can be tented for termite treatment. Additional work will occur at all five historical bungalows: a Cultural Landscape Inventory, Historic Structures Report and Cultural Landscape Treatment Report are being done to document the structures and the neighborhood. These reports will assist VALR and Pacific Historic Parks with restoring these structures to their pre-1941 appearance. Part of the mission of the NPS is to conserve historical places. These structures are a part of history that surrounds Ford Island. Each bungalow tells a story both about the naval aviation experience and the attack on Naval Air Station Pearl Harbor on Dec. 7, 1941. These homes are now part of the historical inventory of VALR and will be preserved for future generations — so their story can continue to be told. 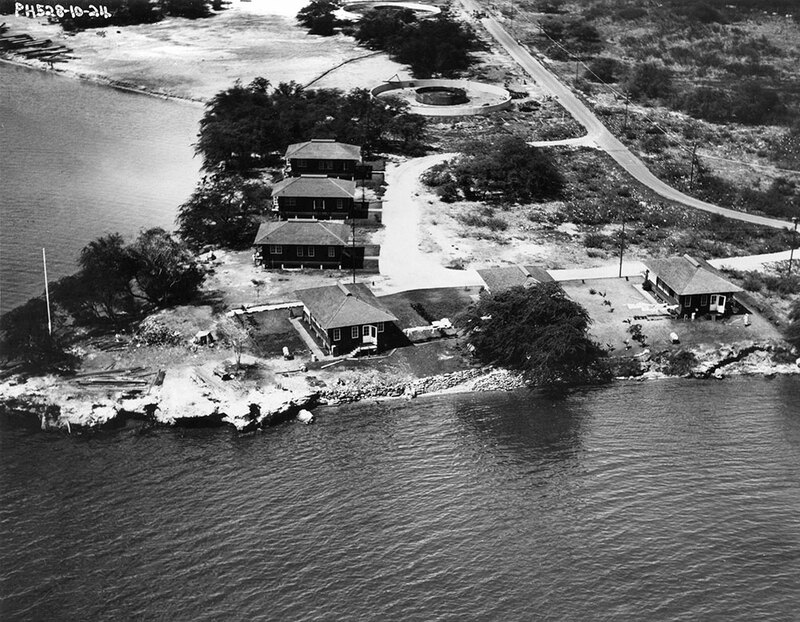 The CPO bungalows provided shelter in peace, protection from war and a home for many Navy families from the 1930s to the 1990s. They are now in need of your assistance to preserve them so that they can continue to bear witness to their historic past. In doing so, that history can be shared with future generations of visitors who come to visit this National Park Service site.